Coming from Reno Savoya’s RSRC brand are new M4 titanium screws. 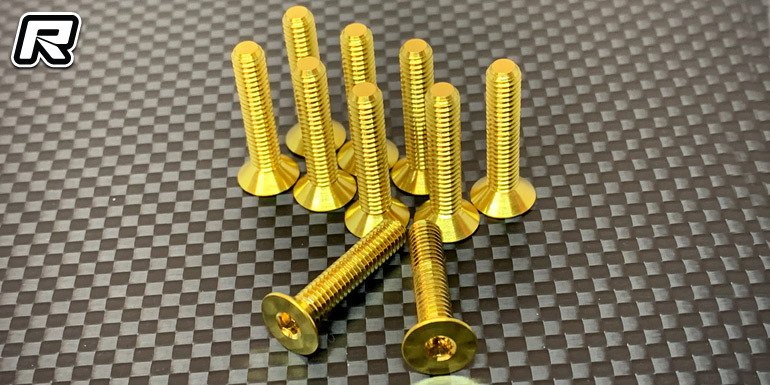 Like their M3 counterparts the fasteners come machined from high-quality Grade 5 material and they are specially machined with a deeper head to allow for easier wrenching and greater durability. A gold-colour PVD coating further enhances life span while adding visual impact. The screws come as 10mm to 20mm variants and in packs of ten pieces.